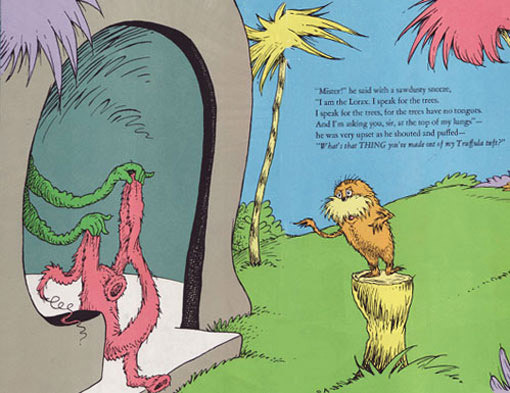 Here is our first look at the Once-ler in the Universal Pictures and Illumination Entertainment adaptation of Dr. Seuss' The Lorax. The Office's Ed Helms voices the character that looks different from what many may have expected. "Instead, he's a misguided, fresh-faced young man, whose destructive actions warp not only his world, but eventually himself," according to Entertainment Weekly. "The minute you make the Once-ler a monster, you allow the audience to interpret that the problem is caused by somebody who is different from me, and it ceases to be a story that is about all of us. Then it's a story about, 'Oh I see, the person who led us into the predicament is not a person. It's somebody very, very different.' 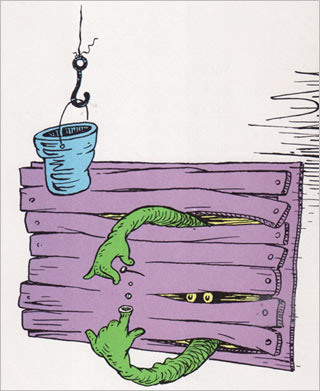 And so it takes you off the hook." 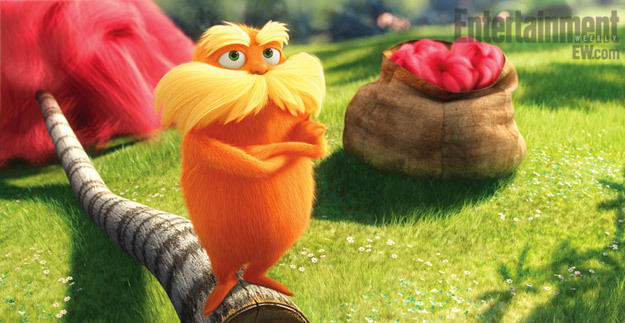 Dr. Seuss' The Lorax opens in theaters on March 2.